We here at Devil Ball try to bring you all the wacky hole-in-one stories we can find. We've had a Senator make an ace while playing with the President. We've had college golfers make consecutive aces during a round, and even had sisters both make hole-in-ones during a qualifier, but rarely do we find these crazy ace stories at the highest of the professional ranks. That changed on Friday at the European Tour's Nordea Masters. 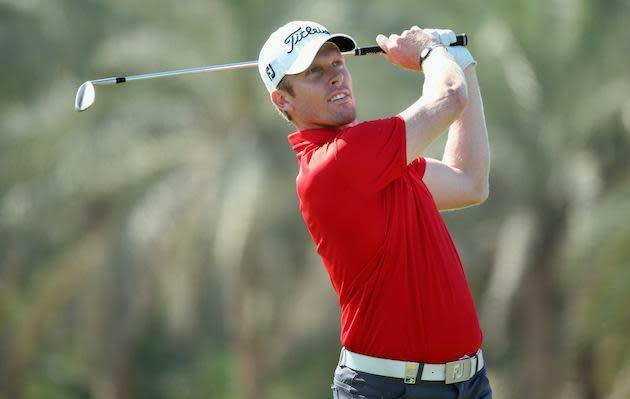 Andrew Dodt, a 27-year-old Australian with one career European Tour win, was hoping that a low second round might get him inside the cut line at the Bro Hof Slott Golf Course after an opening round 77 left him well down the leaderboard. Dodt started his second round on the par-4 10th, and after a par there, moved to the par-3 11th. Measuring 175 yards, Dodt knocked his tee shot in the hole for an ace and some good vibes for the rest of his Friday. Dodt continued to cut away at that bad opening round, adding three birdies to his outward nine, but with three holes remaining he needed more magic. He got it at the par-3 7th hole, his 16th of the day. Playing 208 yards, Dodt added his second hole-in-one of the day, meaning he might not just be buying drinks in Sweden this evening. The numbers for an odd like this are all over the place, but one place said that an amateur has a 67 million to 1 chance of making two aces in the same round, so maybe knock some off of that because Dodt is a pro, but still, pretty incredible stuff. According to the Golf Channel, the only PGA Tour player to ever make two aces in the same round is Yusaku Miyazato who did it at the 2006 Reno-Tahoe Open. The crazy part is that even with his two aces, Dodt had to birdie his final hole to make the cut, which he did, posting a second round 65 that will definitely make that framed scorecard all the prettier with such an impressive score to go along with the two double-circles.